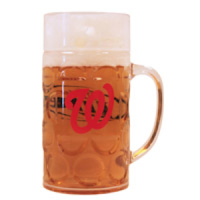 According to the Nats promotions team, on Friday night at Nats Park, the first 10,000 fans who are age 21 and up will receive a free Beer Stein. A beer stein is traditionally a beer mug made out of stoneware instead of glass. They typically resemble more of a decorative piece than something you would want to drink out of on a regular basis. That is what a typical person thinks of when they hear the term 'stein'. So why does the Washington Nationals promotion page show the following picture of a typical beer mug for their beer stein giveaway. I think the mug shown is a really awesome promotion item. In fact I would prefer to have it over a stoneware mug. I'm just taking some exception to the fact that the team is calling it a stein. As a former employee of a beer company, I have collected a variety of Beer Steins over my career. Every Christmas our gift from the company would be a case of crappy beer and a Christmas Stein. My collection just sits in my house gathering dust, and I have never once taken a drink out of one. (maybe I can sell them in like 40 years). 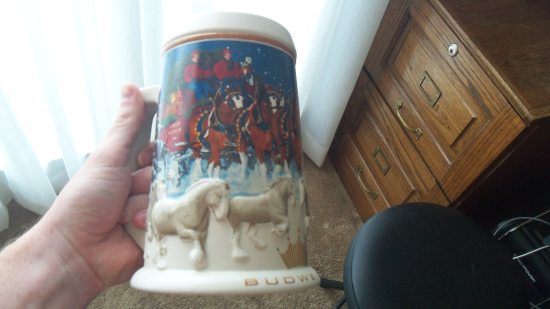 The following is what a beer stein should look like. Intricate art, 3 dimensions, "craftsmanship". Future value. I also have a variety of cool glassware and mugs. Despite the cool shapes, sizes, and logos on these glasses, I have never considered them to be beer steins. They are basically glass mugs with a logo on them. Not really artistic. So fair warning to the 5 Nationals fans who care. 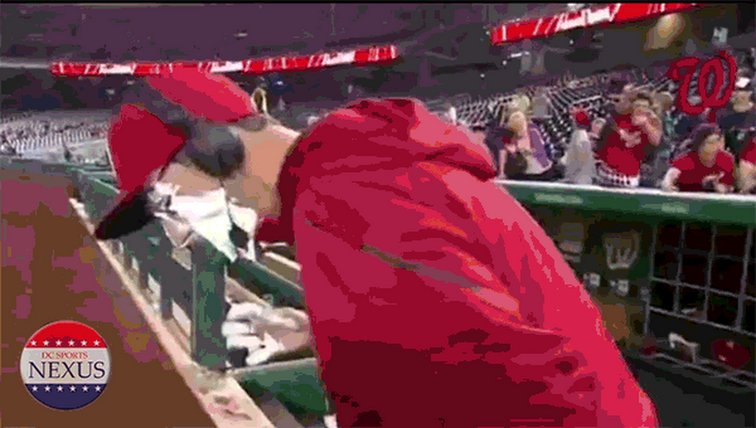 When you show up to the ballpark on Friday night to watch the Nats take on the Braves you will most likely be getting a boring large glass mug, and not a real collector's item.